You know what else everybody likes? Parfaits. Have you ever met a person, you say, "Let's get some parfait," they say, "Hell no, I don't like no parfait"? Parfaits are delicious. No! You dense, irritating, miniature beast of burden! Ogres are like onions! End of story. Bye-bye. See ya later. Shrek will be required viewing for my hypothetical children. To be honest, I don't even mind that Donkey says "hell no" and "damn" in the same scene. I think it's perfectly acceptable since they are uttered in reference to something involving whipped cream. There's this one part where Fiona has a change of heart after overhearing Shrek's lament about the world being against him. 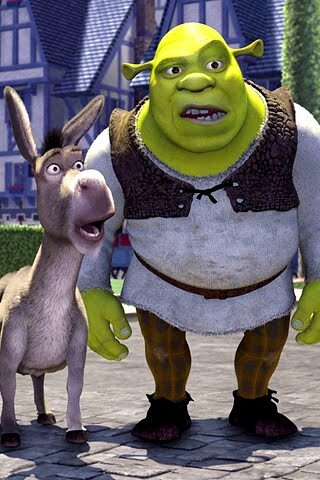 The expression that Shrek and Donkey exchange with eachother as she saunters off to make breakfast is HYSTERICAL. If you haven't seen it and I happen to run into you in person, I'll re-create it for you. No really, it'll be just as funny. To wrap up No Bake Week, we'll be making parfaits. 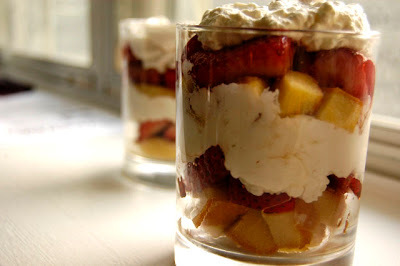 Strawberries tossed in balsamic vinegar then layered with pound cake and fresh whipped cream. Simple, summery and bake-free. 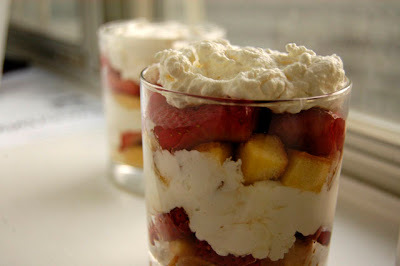 This recipes refers to them as trifles but I prefer to call them parfaits because "trifles" makes me think of "triflin'". "That triflin' beep-and-such is staring at my man's parfait." That does nothing for my appetite. In a shallow dish or bowl, toss the strawberries and vinegar together and let marinate at room temperature for 15-20 minutes. Using an electric mixer, whip the cream until soft peaks start to form. 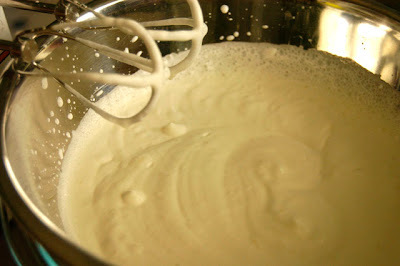 Add the vanilla and confectioners sugar and whip again until stiff peaks form. 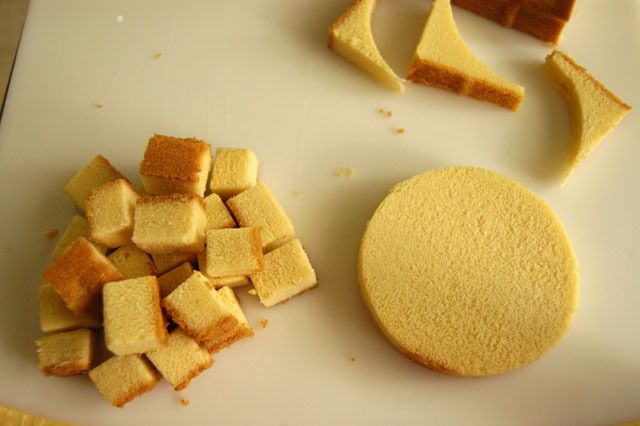 If you want to get fancy, you can use a round cookie cutter for the pound cake or you can just cut it into cubes. 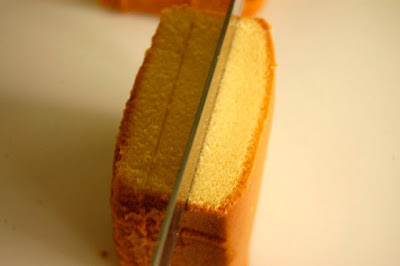 Place the first layer of cake at the bottom of the glass. 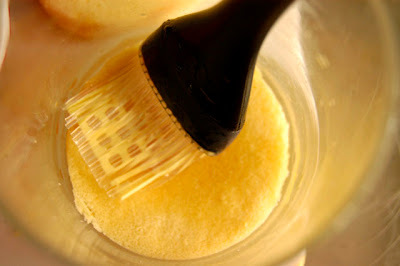 Lightly drizzle or brush amaretto over the cake. Spoon a layer of strawberries on top of the cake. Add a layer of whipped cream on top of the berries. Repeat until you reach the top of the glass. 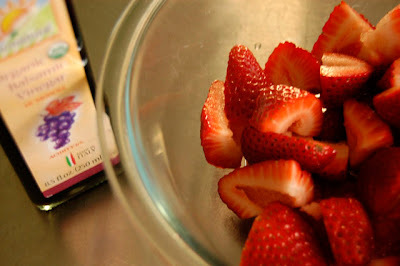 If you've ever had strawberries in a salad with balsamic vinegar, then you know the combo works well. The zip from the balsamic is evened out by the whipped cream and really complements the strawberries. The best thing about a parfait is its visual appeal. 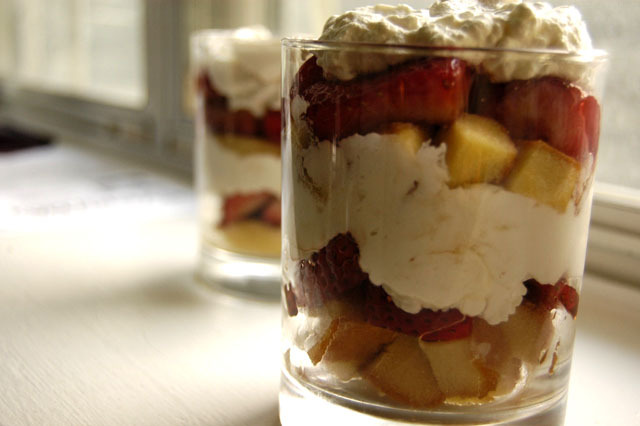 You could trick a kid into eating just about anything if you serve it parfait-style. Have a great weekend. The oven will make his return next week. Oh sweet, fancy Moses! Will Power, where are you?! I think I have forgotten that scene so I eagerly await the recreation. Forgot about Shrek. Save yourself from Shrek 4, it is not a good time. But yes, whipped cream is magical. With the balsamic and the strawberries! Win! Margie - I think I saw him milling around Cinnabon. Maybe one of the cats will do Puss in Boots imitation, too. Rick - boo...the 4th one blew? That'll be a Netflix rental. A Redbox, even. Yummy and gorgeous, when should I be over? I love the amaretto touch. Never thought of that one. Jennifurla - anytime. Bring some of that Cupcake wine, too. Liam - better than on the rocks at a swanky rooftop bar. I highly enjoy your commentary. And delicious looking food. Want. Welcome Shannon! Thanks for stopping by the blog! Can I get you a drink? A parfait, perhaps? I miss having salads with croutons.